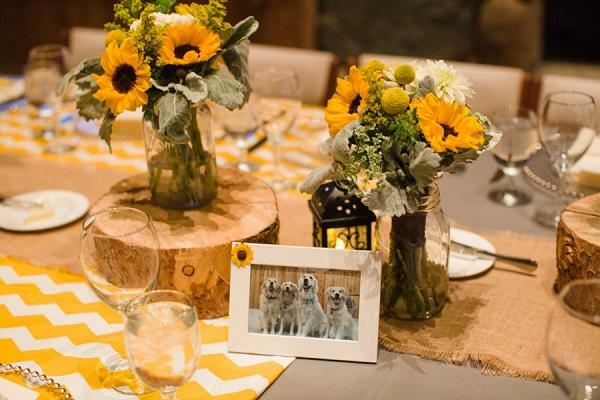 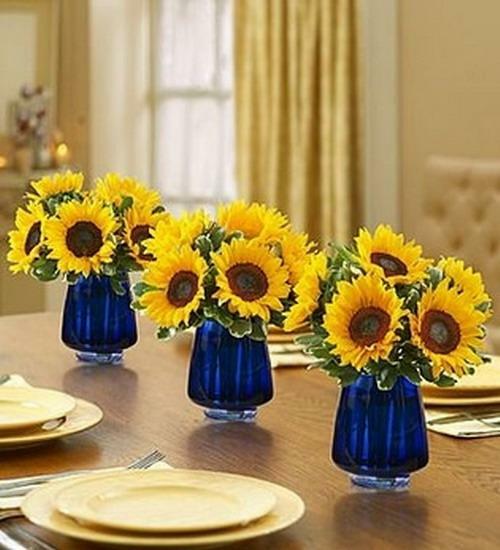 Sunflowers table centerpieces look bright and warm. 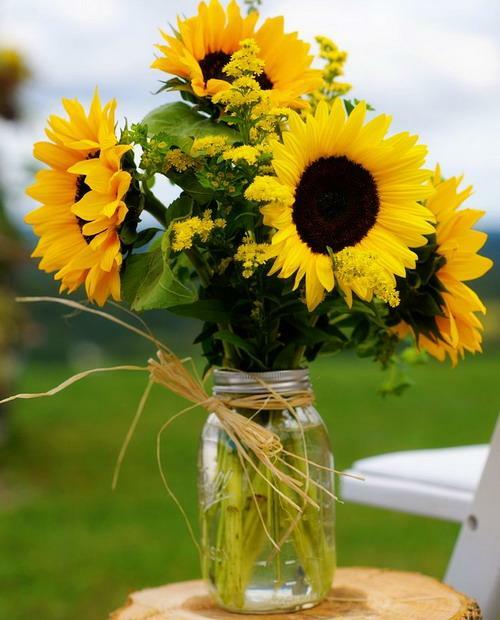 Sunflowers are fantastic and cheap home decorations that add festive and relaxing feel to home interiors and outdoor rooms, brighten up table centerpieces and create colorful and optimistic home decor. 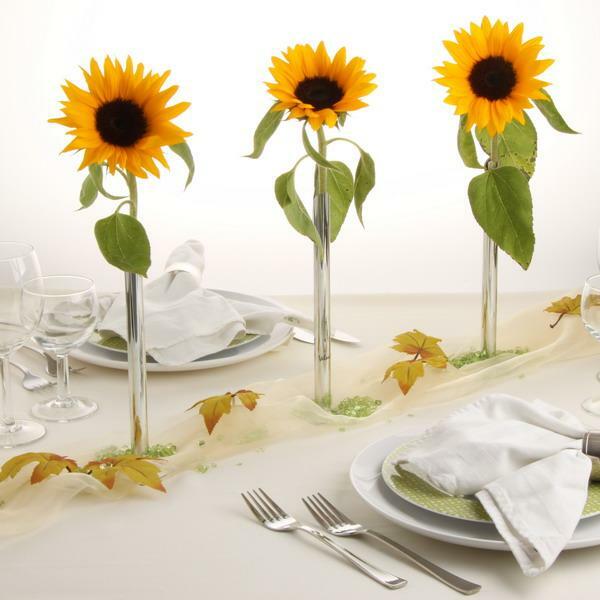 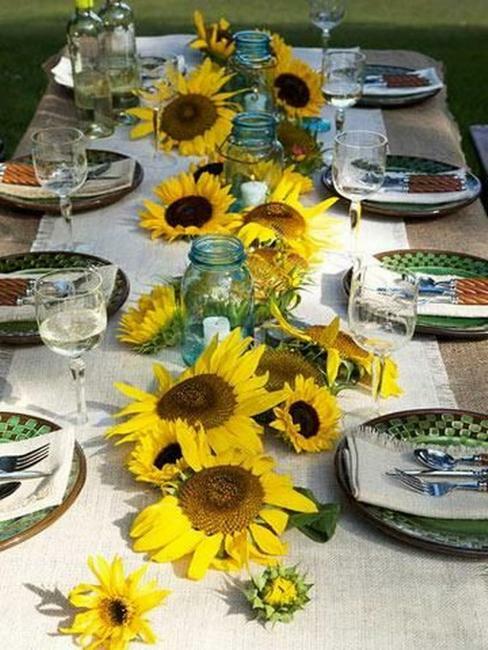 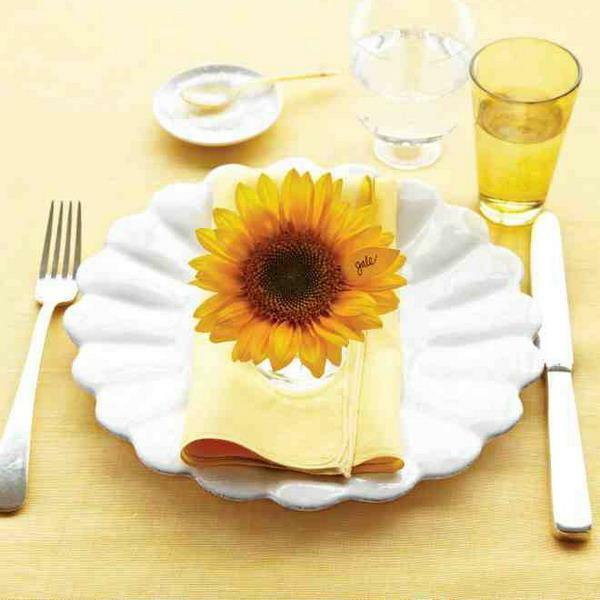 Sunflowers are not only beautiful flowers to look at, sunflower table centerpieces are meaningful and symbolic also. 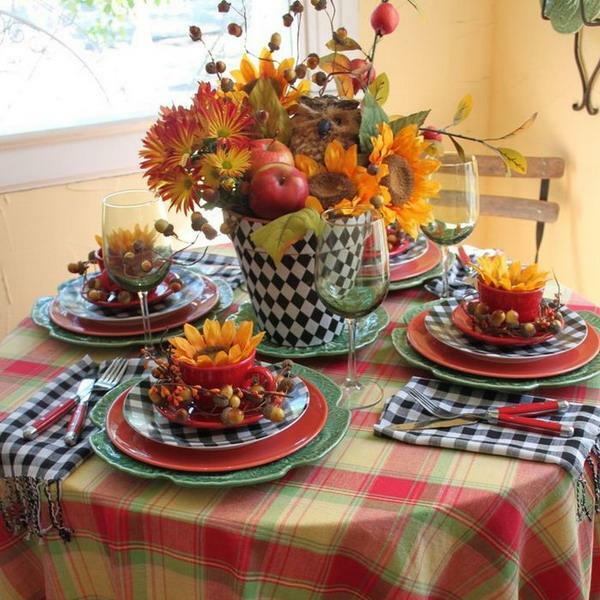 Decor 4all shares a collection of bright table centerpieces and decorating ideas for a special event or everyday table setting. 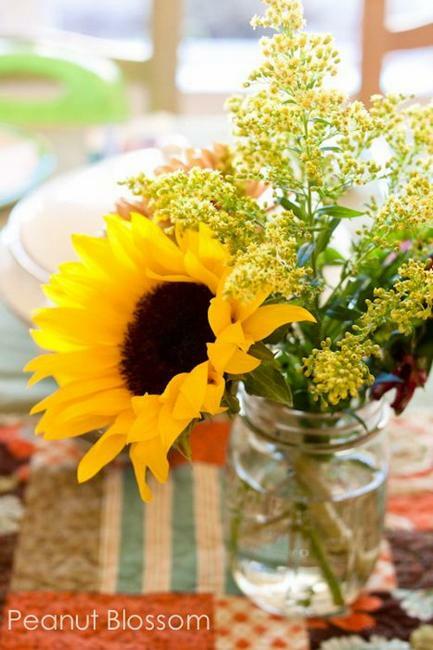 Healthy vegetable oil and delicious sunflower seeds add meaning to these beautiful flowers and remind of tasty snacks and nutritious ingredients. 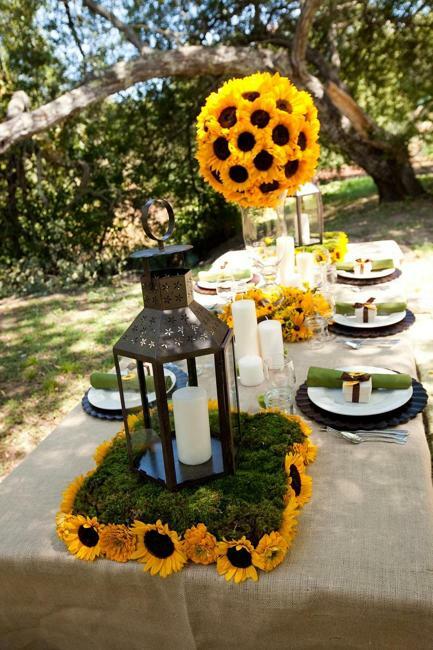 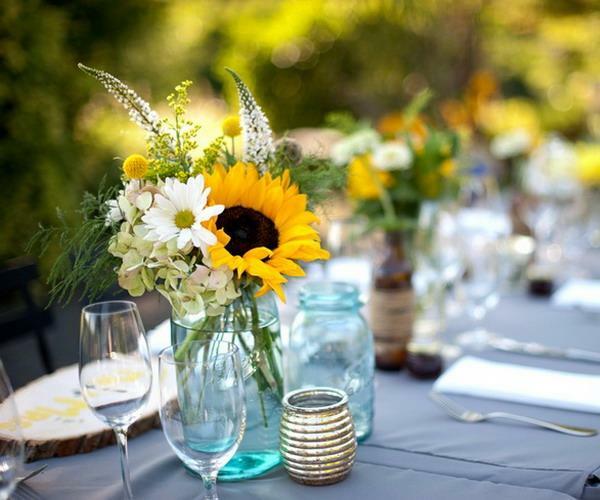 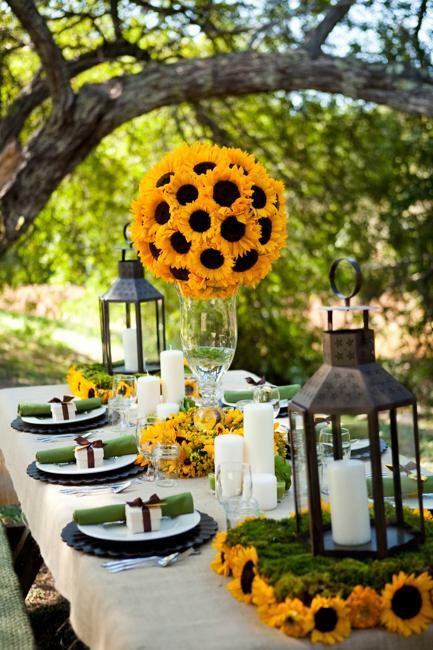 Sunny and bright yellow colors and dark contrasts of sunflowers create gorgeous table centerpieces and improve the mood. 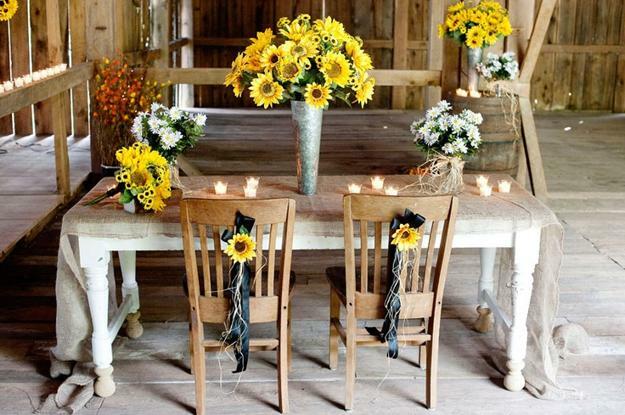 Sunflower table centerpieces are versatile, suitable for all table decoration styles, but these beautiful flowers in yellow color look especially great with country home decorating ideas and table decor with simple and rustic accents. 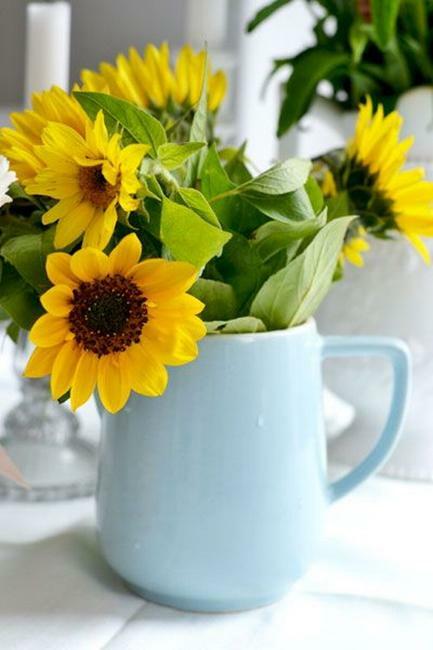 These beautiful flowers were first domesticated roughly 5000 years ago in the south-eastern US and Mexico. 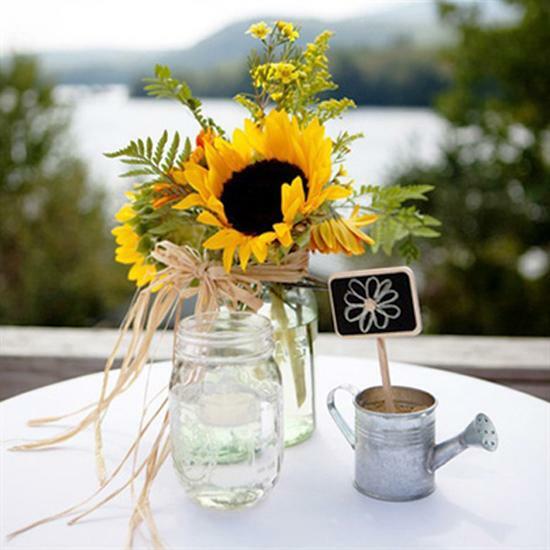 The wild sunflowers are native to North America flowers, but commercialization of the plant took place in Russia. 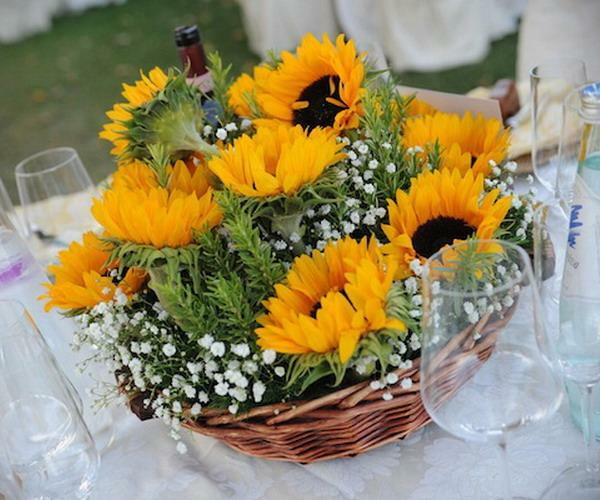 The Russian Orthodox Church banned most oil foods from being consumed during Lent, but the sunflower was not on the forbidden list and therefore gained in popularity as a result. 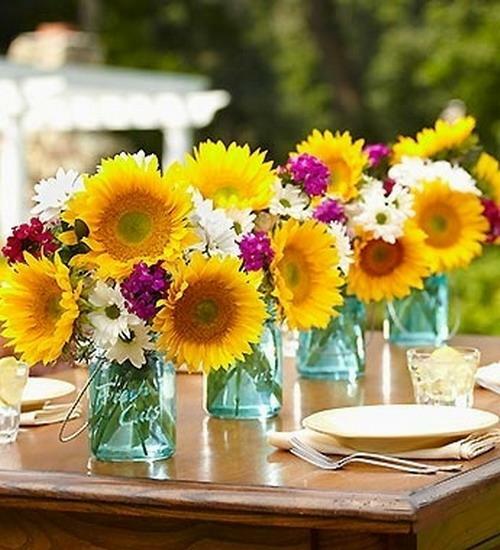 That is why these beautiful flowers are favorite in Eastern Orthodox countries, creating spectacular table centerpieces for summer party table decor. 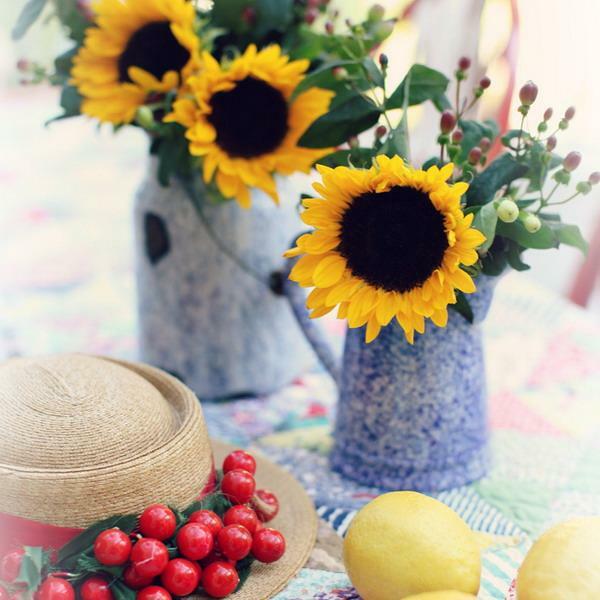 The Dutch painter, Vincent Van Gogh gave sunflowers the superstar status back in 1887. 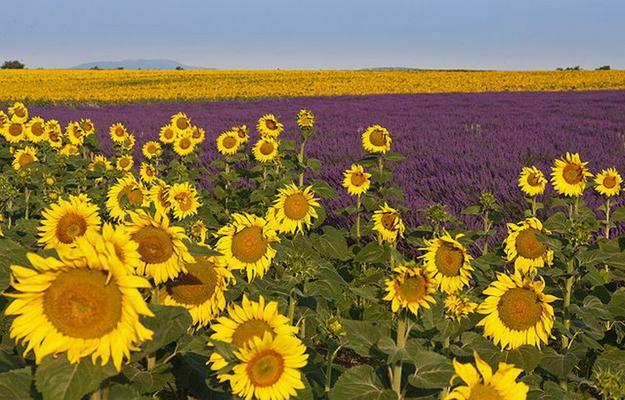 His paintings became very famous and expensive. 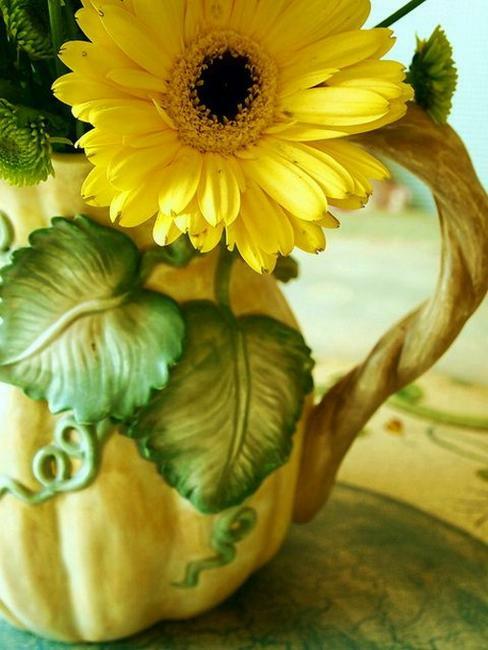 These beautiful flowers are the symbols of life and sun, they bring optimism and create positive changes. 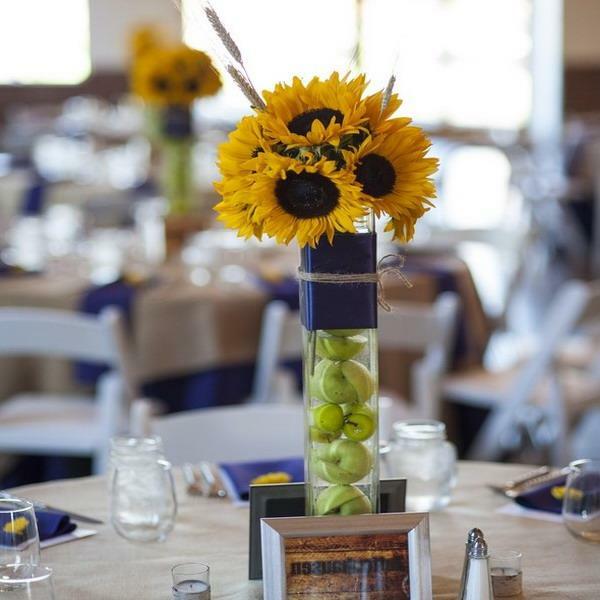 Sunflower table centerpieces are a wonderful way to connect your themed table decoration to the nature and country home style. 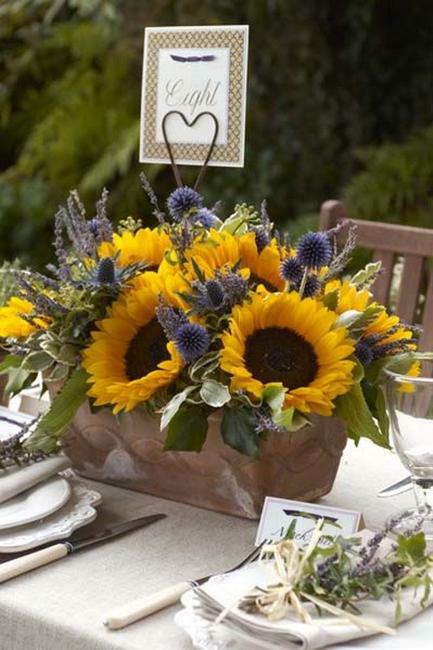 Sunflower floral arrangements, table decorations and themes gifts make everyone happier and brighter. 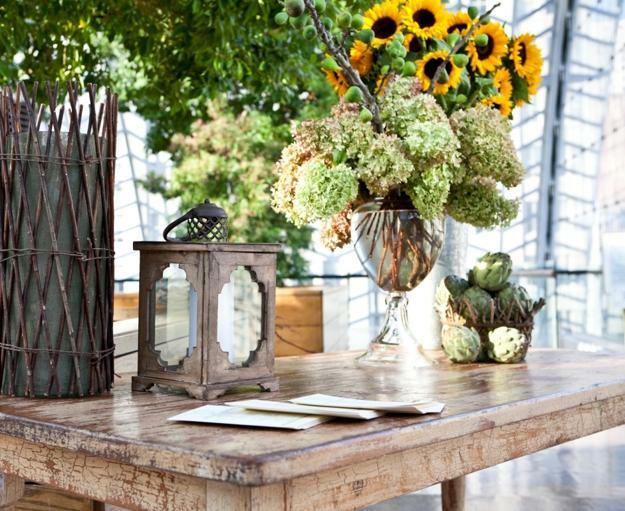 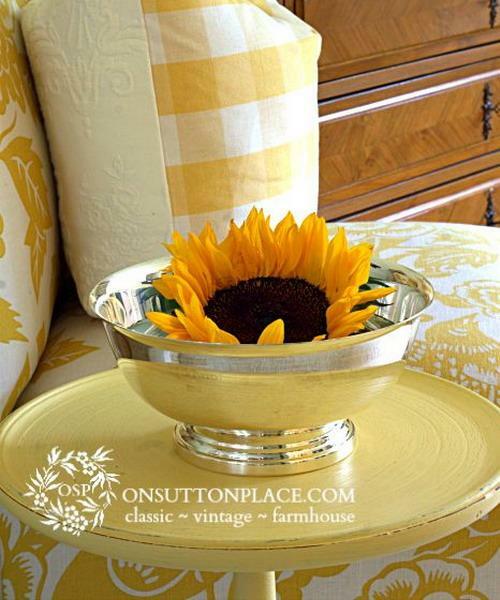 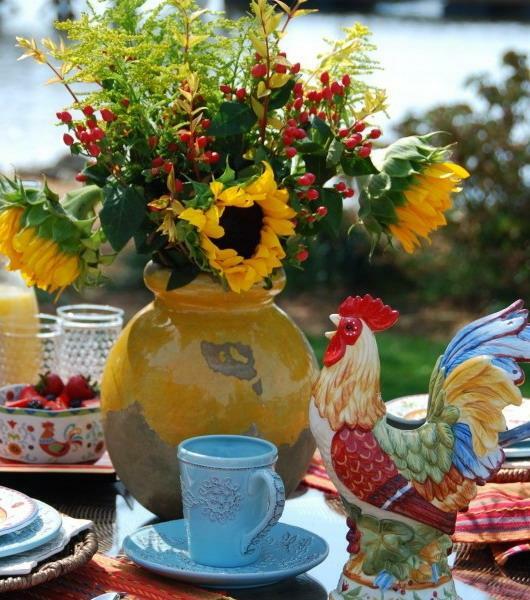 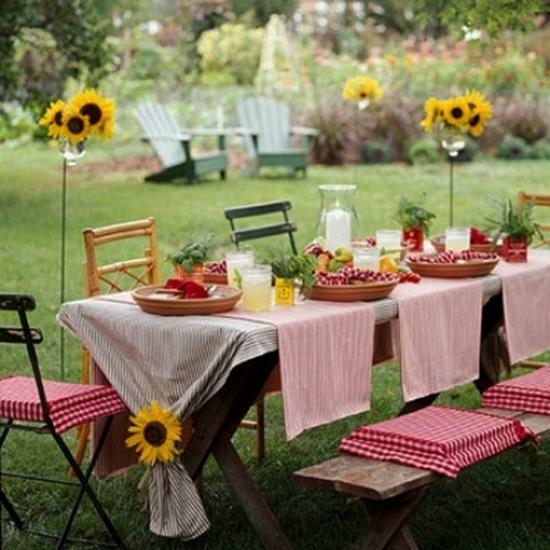 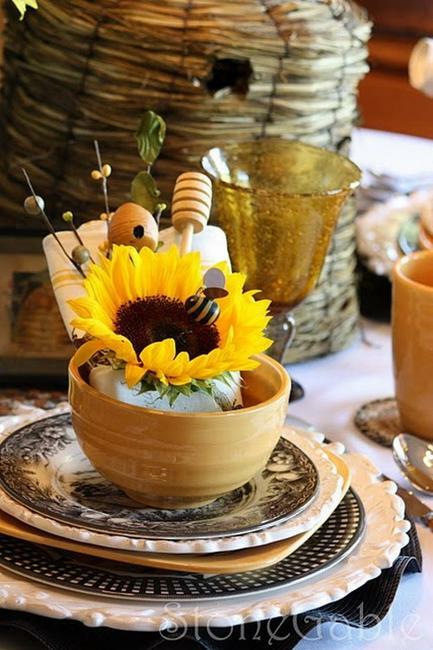 If you like sunflowers, then this collection of beautiful table centerpieces and home decorating ideas is a great find. 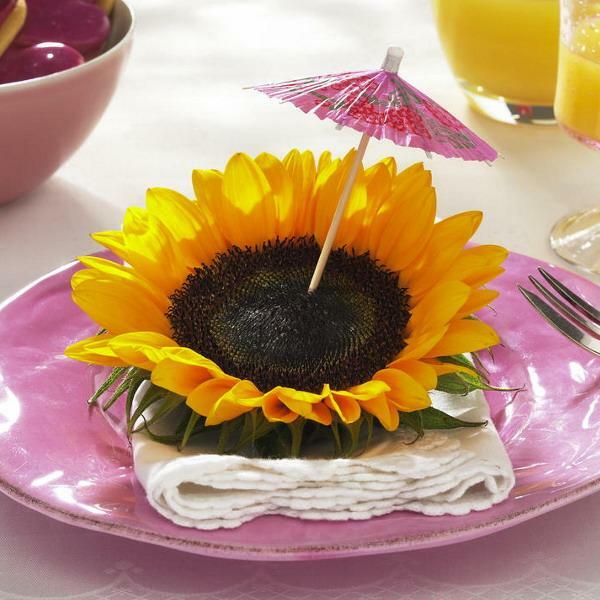 Sunflower table decorations and floral arrangements are colorful, attractive and modern. 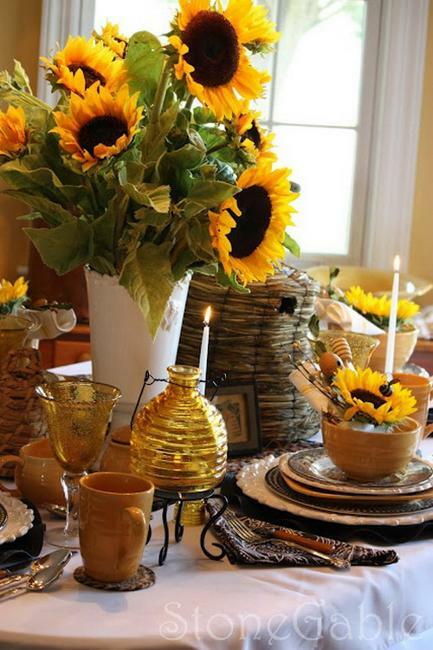 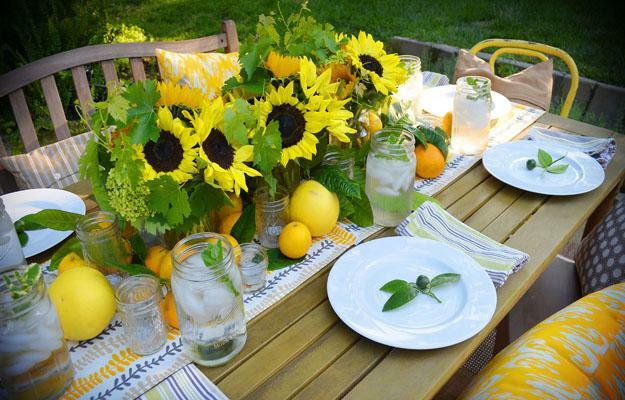 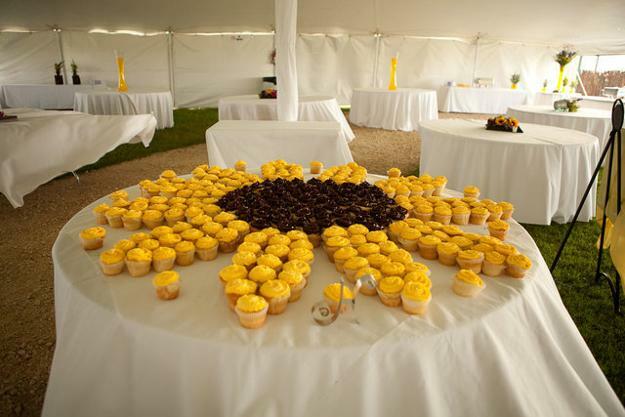 Sunflower table decorations are universally appealing and cheap home decorations that bring fantastic yellow color and create festive and relaxed atmosphere, inspired by country home decorating style.